These beautiful Love letters are guaranteed to light up your special day. Standing at 4ft high, they are a perfect backdrop to photographs as well as a decor centre-piece. They are hand painted and are able to be plugged into any normal plug socket. A perfect add-on to give your event that something extra. L.O.V.E spells Love! 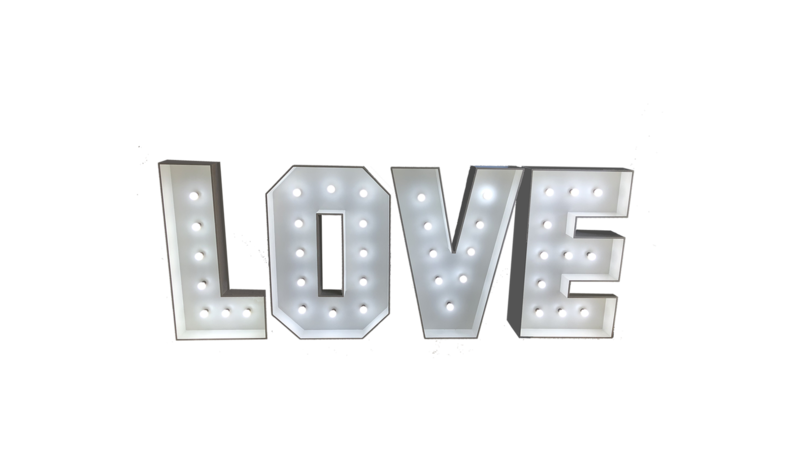 Say it loud at your event with our light up love letters. 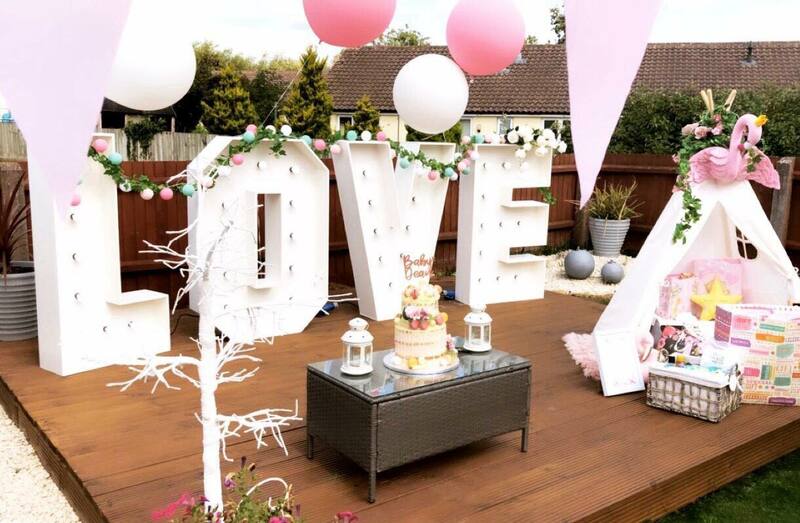 These letters are a fantastic addition to any Wedding, birthday party or baby shower. To book these LOVE letters, just click the link below – you can even check its availability against our live diary! Our helpful and simple online booking system collects all the information we need, and we will confirm your details with an email.